Last week, the students began exploring their own independent inquiry. Children were asked to think about an area within our current unit to explore further. After lots of shared thinking and ideas everyone decided upon a focus issue which they are passionate about changing. From this, students began researching key facts and collecting data that can be used within their campaign. We have been really impressed with the students ideas and enthusiasm they are displaying to take action for making a change. They have designed an image and slogan which will be shared as part of their final project along with a piece of persuasive writing. In mathematics, we have started inquiry into fractions. The students have been showing us their understanding of the concept using lots of different resources including numicon and fraction wheels. We are really looking forward to seeing how the students will develop their knowledge and understanding of fractions in different scenarios. 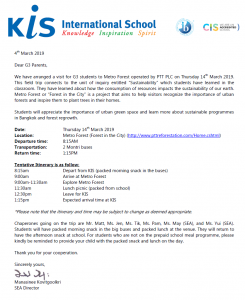 Field Trip: Thursday 14th March. Next week, Grade 3 are heading to the Metro forest for our next field trip. 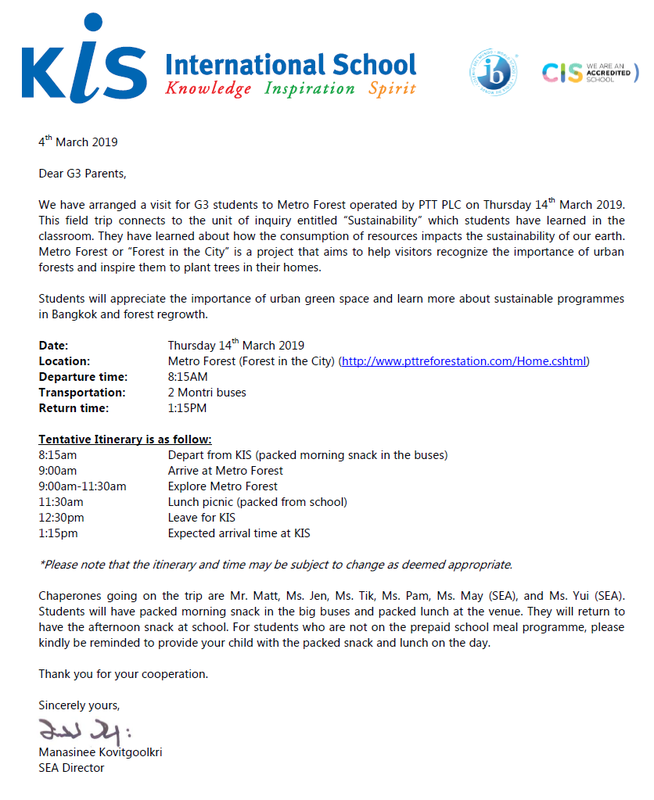 Please see the below letter for more information and if you have any questions, please do not hesitate to contact us. Homework: Homework will be sent home as usual today and can be accessed on the home learning link.